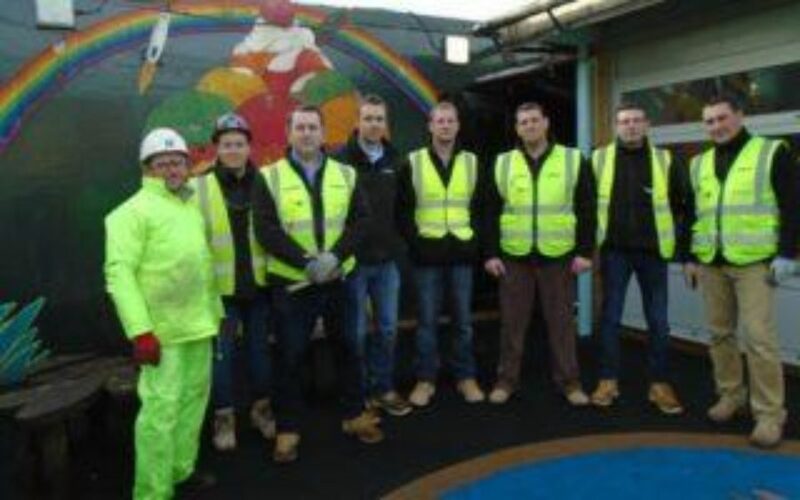 Last week, the Mace team working at Television Centre spent the day volunteering at the nearby Wood Lane Community Centre, helping with the maintenance and upkeep of the building and outdoor area. 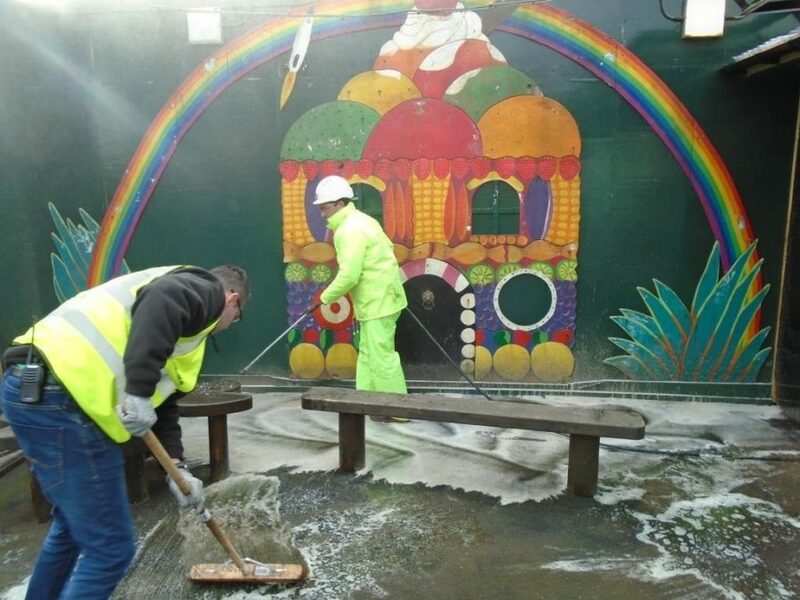 Armed with a high powered jet-wash, the Mace volunteers took to task the algae-covered play area, which had become slippery and dangerous underfoot. Unblocking the slot drains was next on the agenda, which the team approached with enthusiasm and determination! The volunteers then moved onto hanging shelves and equipment hooks inside the Community Centre and giving the outdoor gates a fresh lick of paint. The rest of the Mace team spent the afternoon getting stuck into the garden, helping with the much-needed task of reviving planters with new soil. Overall, it was a highly successful day benefiting both the Wood Lane Community and Mace volunteers.